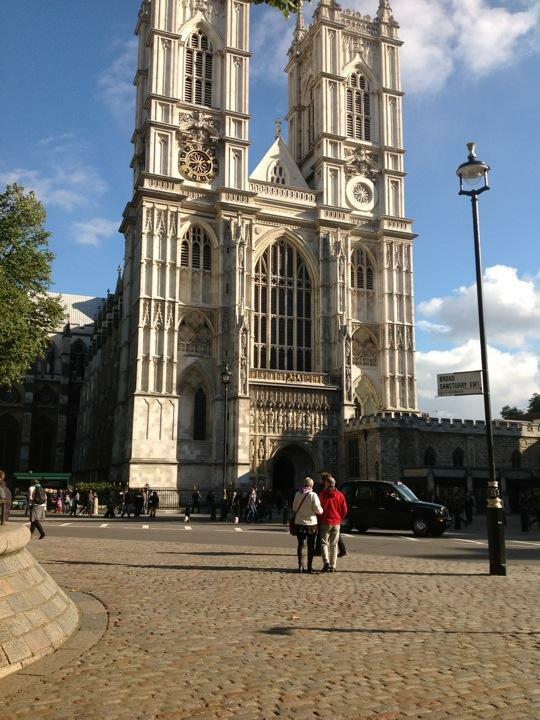 Today we visited Westminster Abby. Westminster is an amazing old church that was built by several past kings. The most interesting part is all of the old tombs of the famous people buried there. There were many famous military officers, famous authors, kings and queens, and scientists. I was most surprised to find Isaac Newton's grave. The major players like kings and saints have their own small rooms, others have wall sculptures and some are just markers on the floor. There was one sculpture that had a skeleton with a sword reaching from under the bed and stabbing this guy's wife. The skeleton was the figure of death.